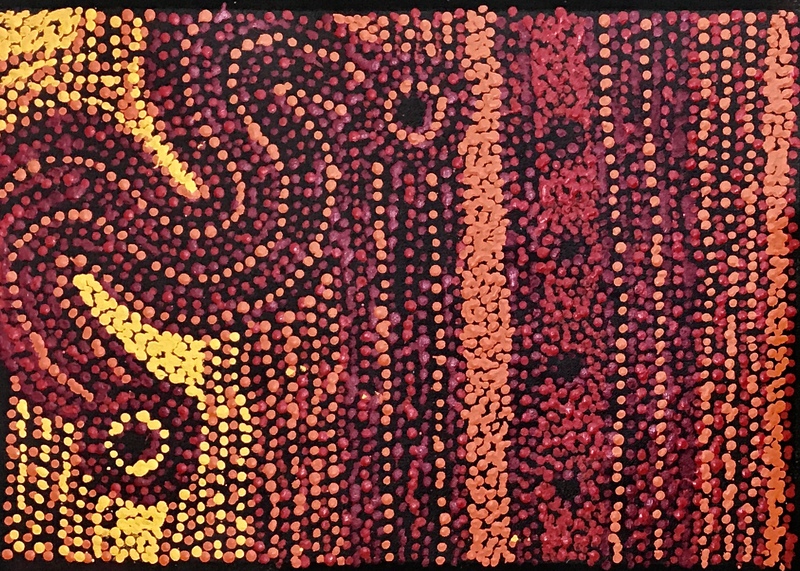 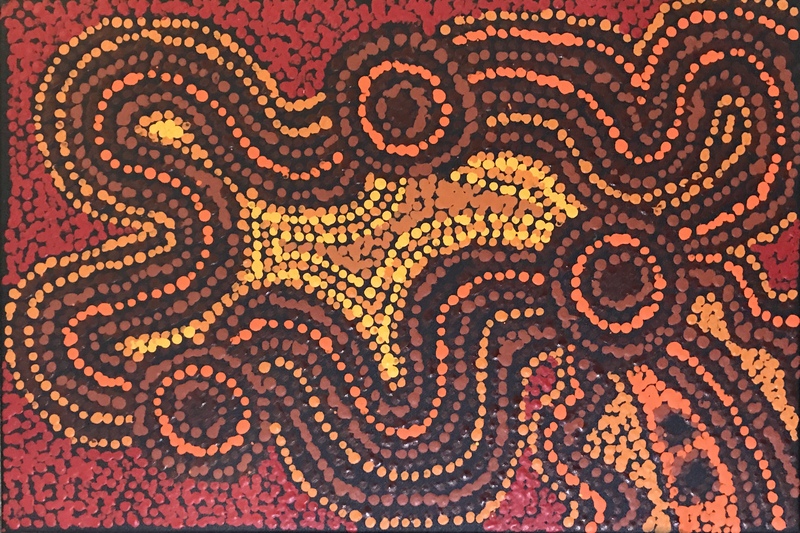 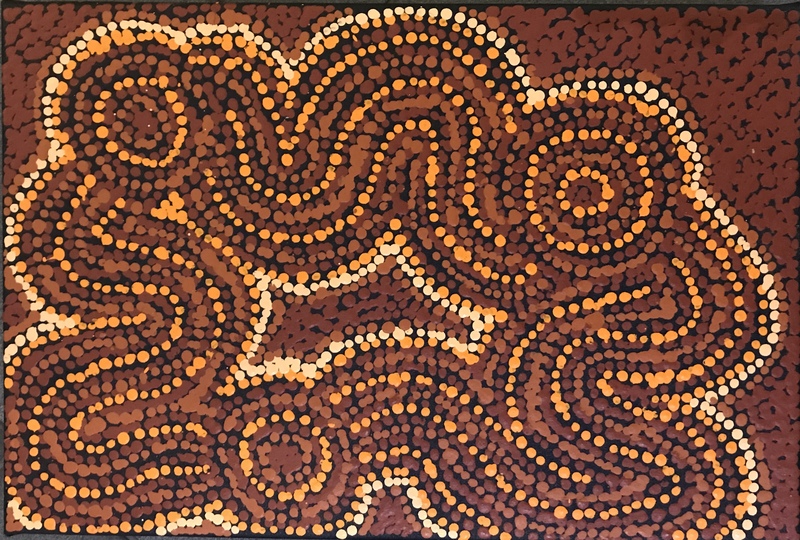 Alison Munti Riley is an award winning artist from APY Lands in South Australia who depicts her stories using a wide variety of colour. 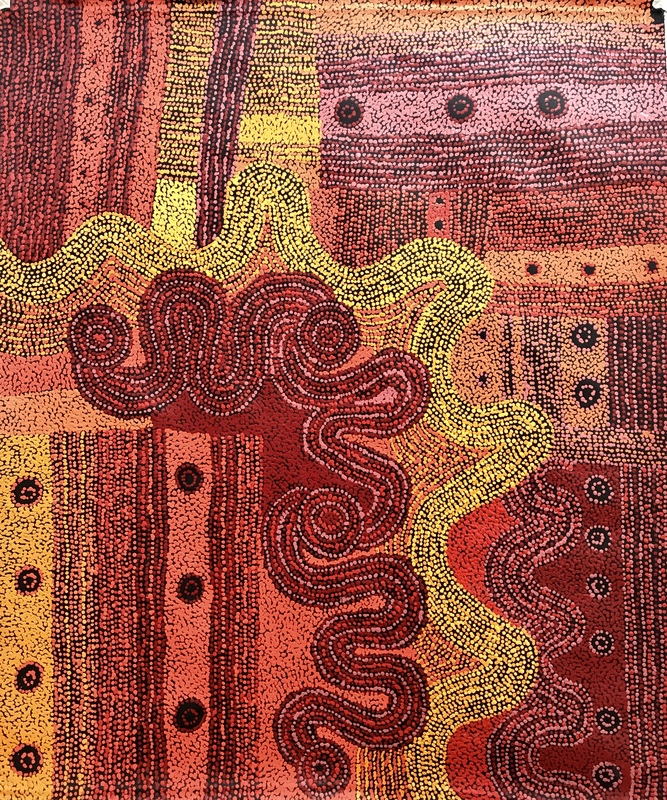 Typically, Alison pants My Country and shows the land that the women traverse using a classic APY style of dot work. 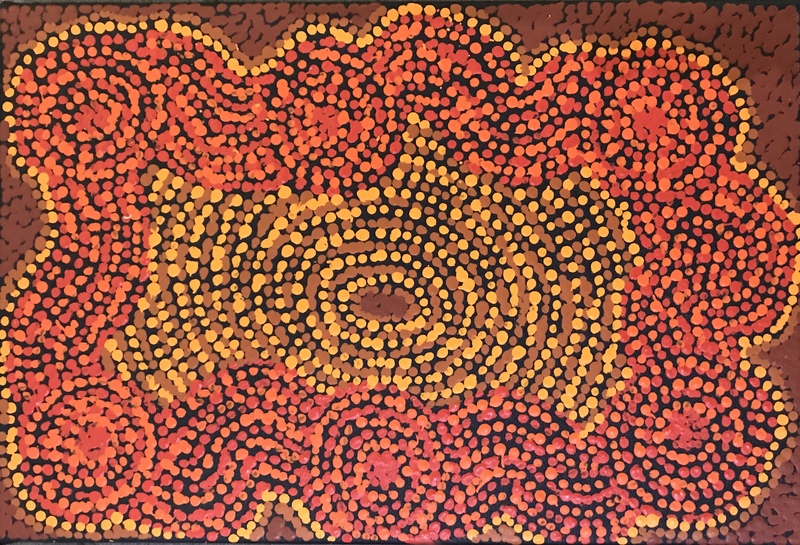 Hills, sand dunes, rock holes and travel lines are shown across the canvas in glossy lines of dots to create a view from above of this area. 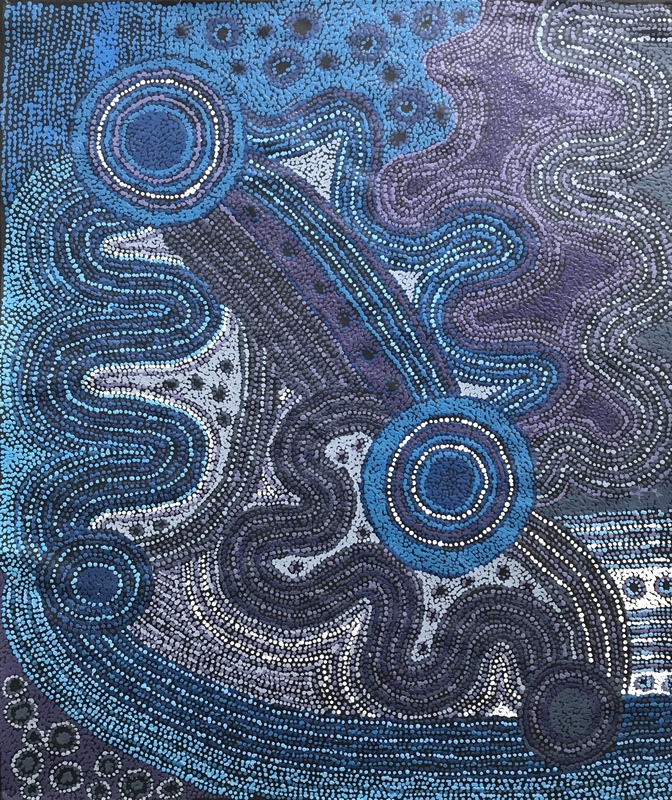 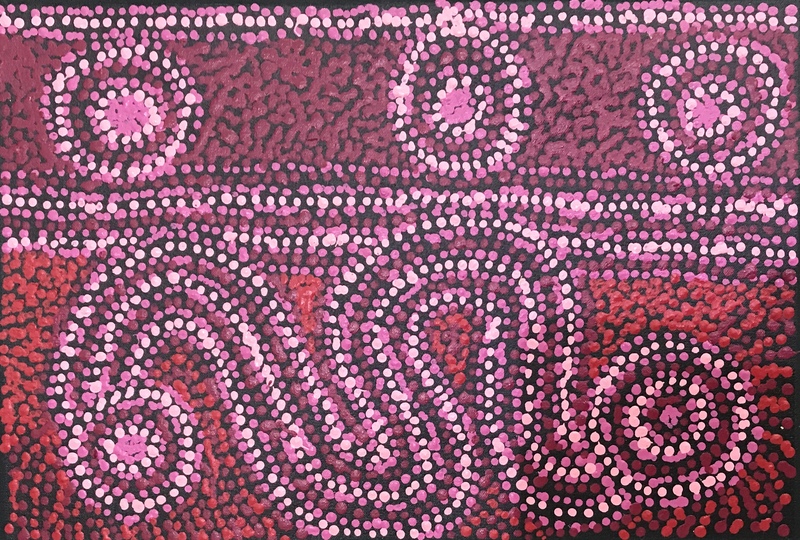 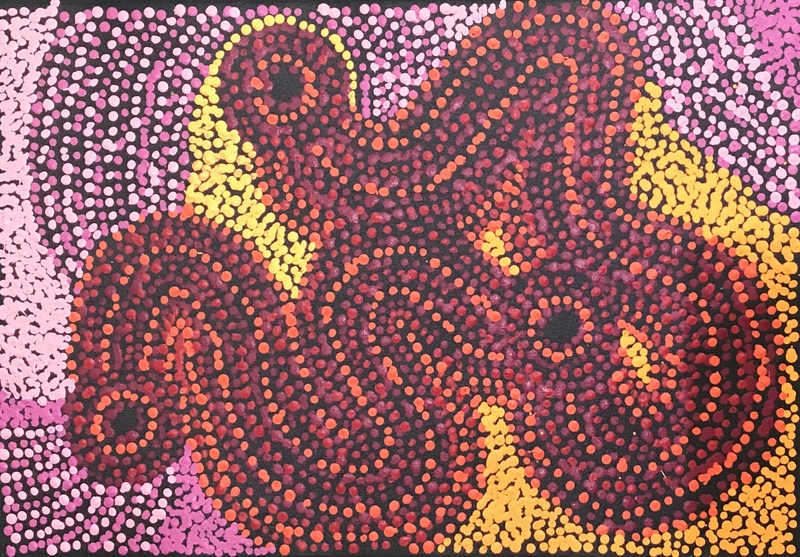 Alison is a Telstra Aboriginal and Torres Strait Island award winner who has become known for her colourful depictions of her land.